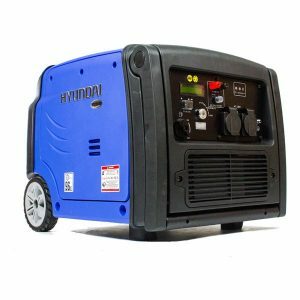 A compact, robust and economical 8kVA Portable Diesel Generator – ideal for power in remote areas or as a home standby unit. Full Nationwide UK support and spares back-up – we service and repair these units as well as selling them – ask any other online reseller if they do! 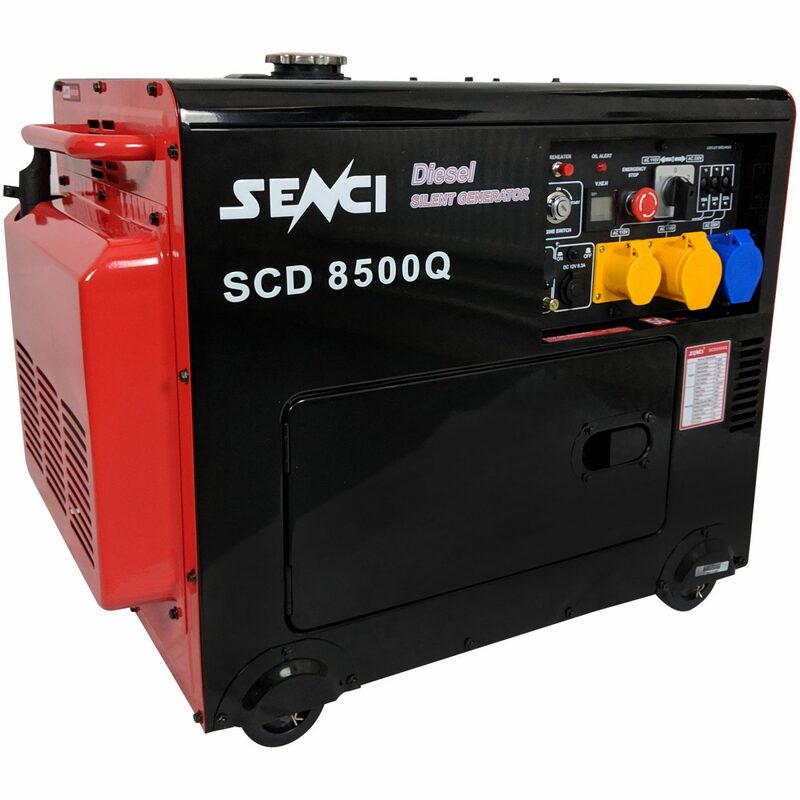 The Senci SC8500Q Generator is a tough and reliable generator – ideal for builders, hire centres, mobile mechanics, farms – anyone who needs reliable power. It is also great for home back-up. New and improved with revised door catches and 18 litre tank. Electric start with key switch. 180kg with tough wheels for easy moving. 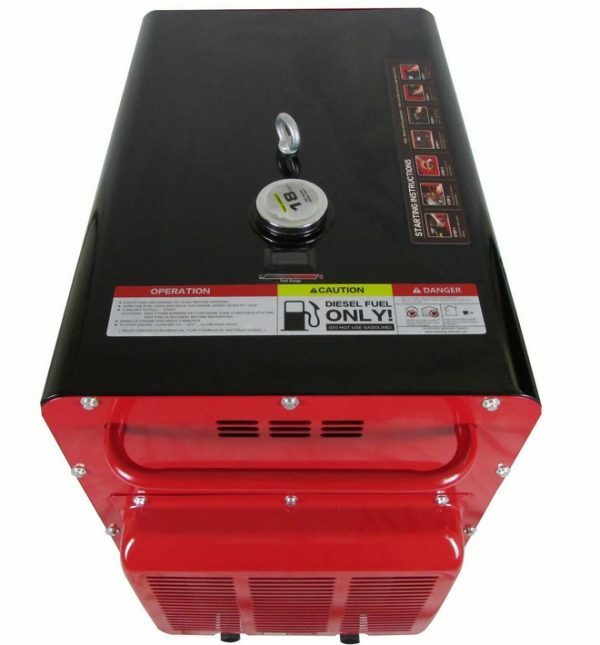 Boasting a powerful 8.1KVA rated power output and a maximum power output of 8.75KVA. Noise level of 75dB(A) at 7m. 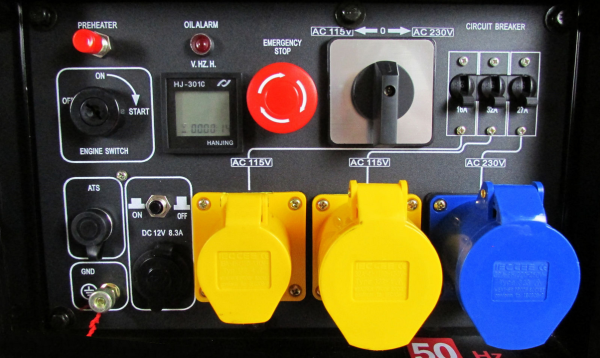 Extra safety features such as seperate circuit breaker for each socket and an emergency stop button.